Natalie Mesnard’s poetry, fiction, and nonfiction have appeared in The Gettysburg Review, Green Mountains Review, The Journal, Kenyon Review Online, Ninth Letter, and Tampa Review. Natalie’s loot-splitting board game, DemocraSea, was a 2016 IndieCade Festival Selection. 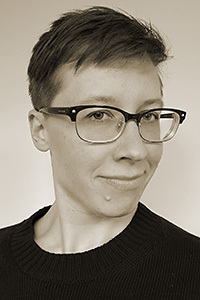 Natalie teaches in the game design and interactive media program at Pratt Institute.